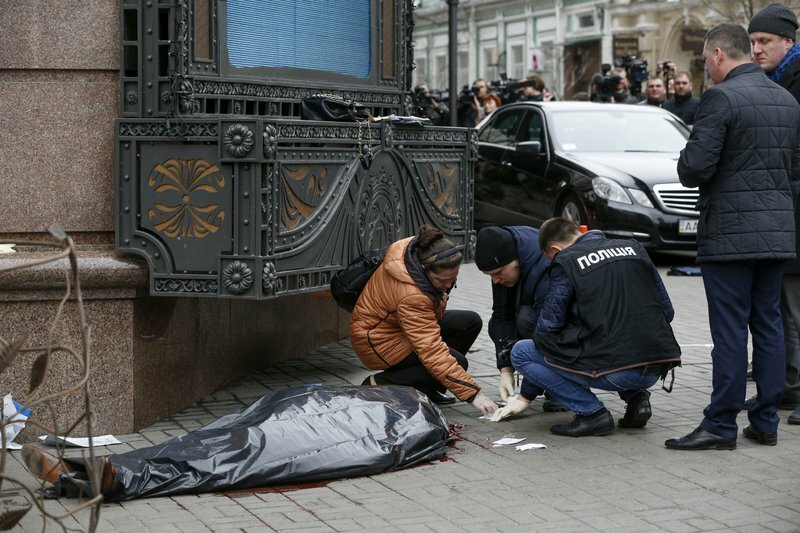 A former Russian lawmaker who became a vociferous critic of Moscow following his recent move to Ukraine was shot and killed Thursday in Kiev, prompting harsh words between the two neighboring countries. Voronenkov's bodyguard, a Ukrainian security services officer charged with protecting him, fired back during the attack and was himself seriously wounded. 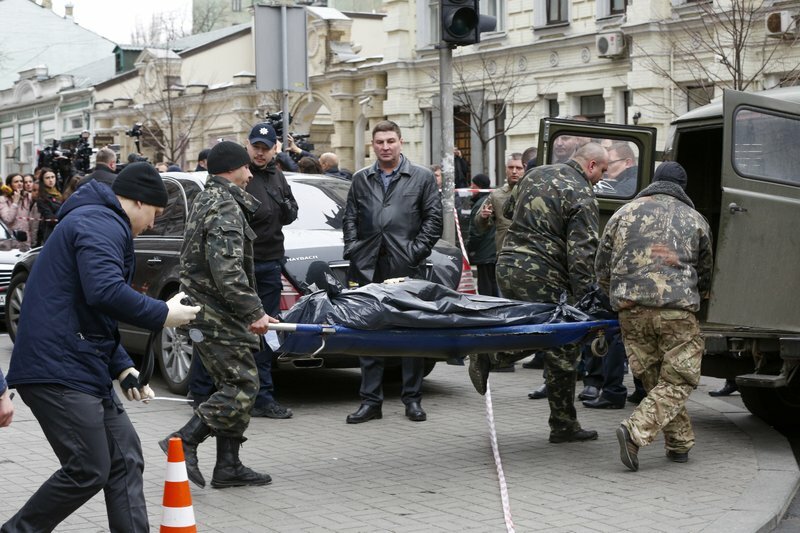 Ukrainian officials said the gunman, who they claimed was a Ukrainian citizen, later died from wounds in his chest and head. They did not identify the gunman. Ukrainian President Petro Poroshenko called Voronenkov's killing an "act of state terrorism" that "clearly shows the handwriting of Russian special services, which has been shown repeatedly in various European capitals in the past." Poroshenko described the victim as a key witness who gave testimony about "Russian aggression" to Ukrainian authorities. Ukraine's chief prosecutor, Yuriy Lutsenko, said Voronenkov was killed shortly before meeting with another fugitive Russian lawmaker, Ilya Ponomaryov. Both men were scheduled to give testimony later in the day at Ukraine's Military Prosecutor's Office. The purpose of the testimony was not immediately clear. Russian President Vladimir Putin's spokesman, Dmitry Peskov, dismissed the claim by Poroshenko as "absurd" in a statement carried by Russian news agencies. Russian Foreign Ministry spokeswoman Maria Zakharova went further, saying the "killer regime" in Kiev "will do its best to make sure that no one will ever know the truth about what happened." Relations between the two countries have soured badly following Russia's 2014 annexation of the Crimea peninsula from Ukraine and its support for separatist rebels in eastern Ukraine. Video footage following the exchange of gunfire showed the three men lying on the sidewalk. Voronenkov's bodyguard was seen rolling on the ground and then being helped to an ambulance by paramedics. 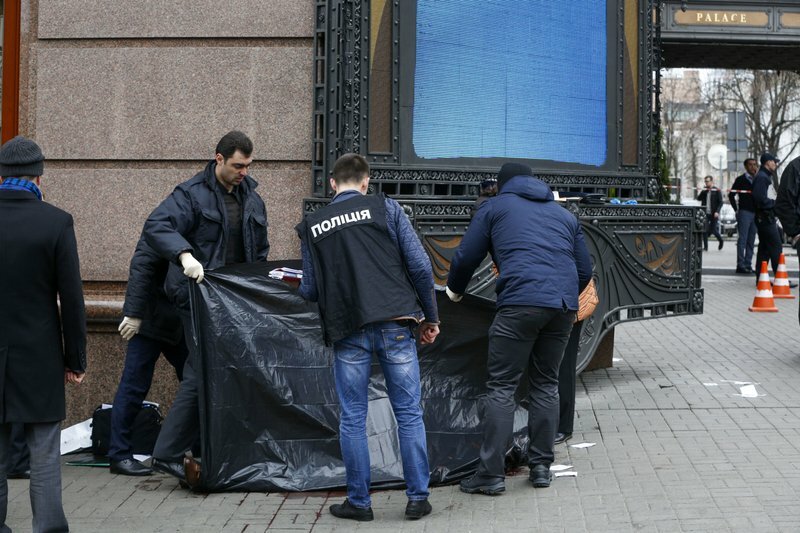 Hours after Voronenkov was killed, a team of investigators and police were seen working at the front door of the Premier Palace hotel, which is frequented by Kiev's rich and powerful. The patch of the pavement by the door where he died had been washed of bloodstains. Poroshenko said it wasn't accidental that Voronenkov's killing came on the same day as a fire erupted at a Ukrainian military arsenal in the Kharkiv region, which Ukrainian officials say was caused by sabotage. Voronenkov, 45, a former member of the communist faction in the lower house of Russian parliament who had obediently toed the Kremlin line, moved to Ukraine with his wife, singer and fellow lawmaker Maria Maksakova. 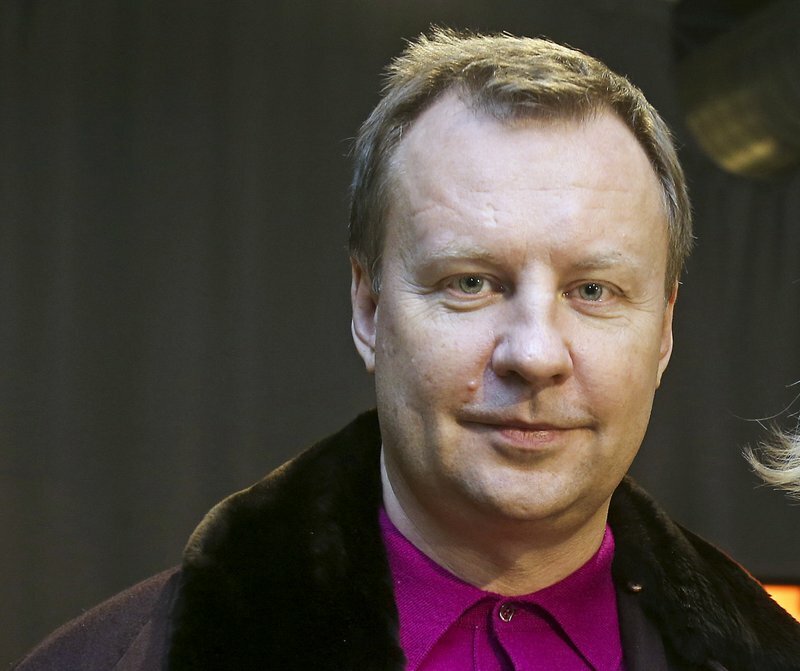 Voronenkov, who had reportedly told journalists he feared for his life, claimed he had to leave Russia because of persecution by Russian security agencies. Critics said he fled in order to escape criminal charges. He was granted Ukrainian citizenship after renouncing his Russian status. Voronenkov had testified to Ukrainian investigators as part of their probe into the activities of the nation's former Russia-friendly president, Viktor Yanukovych, who was ousted by popular protests in February 2014 and fled to Russia. Voronenkov saw off attempts to lift his parliamentary immunity amid criminal charges while in Russia but since leaving the country, Russian investigators have filed fraud charges against him in connection with his business activities. A Moscow court earlier this month sanctioned his arrest in absentia. Prosecutor Lutsenko said investigators were looking into Voronenkov's role in exposing a contraband ring in Russia that cost several senior security officers their jobs, and his testimony about Yanukovych, as possible motives for his killing. Volodymyr Fesenko, a political analyst in Kiev, said Voronenkov's testimony was important to Ukraine because of his level of access in Russia. "He was a member of the parliamentary committee on national security" who had access to "state secrets," said Fesenko. 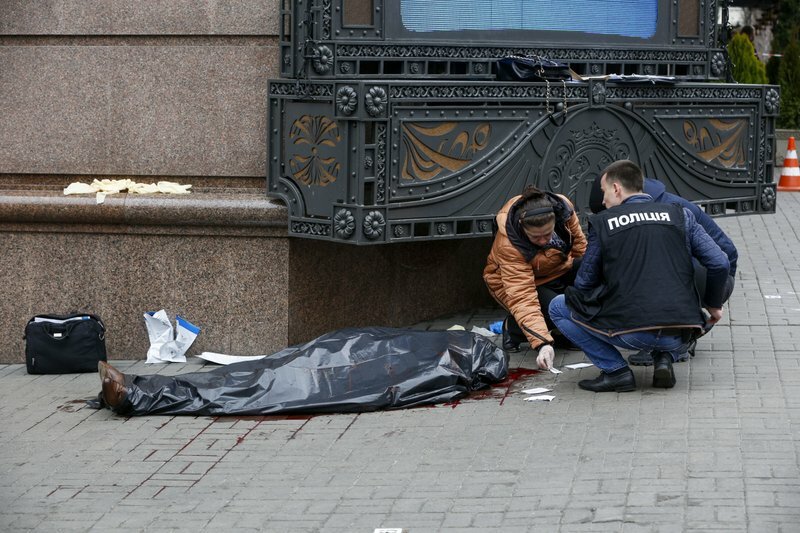 Peskov said Putin had been informed about the slaying and voiced hope the Ukrainian authorities would solve the crime. He added that Voronenkov's widow was welcome to return to Russia. In this photo taken on Thursday, May 5, 2016 Denis Voronenkov speaks in Nizhny Novgorod, Russia. 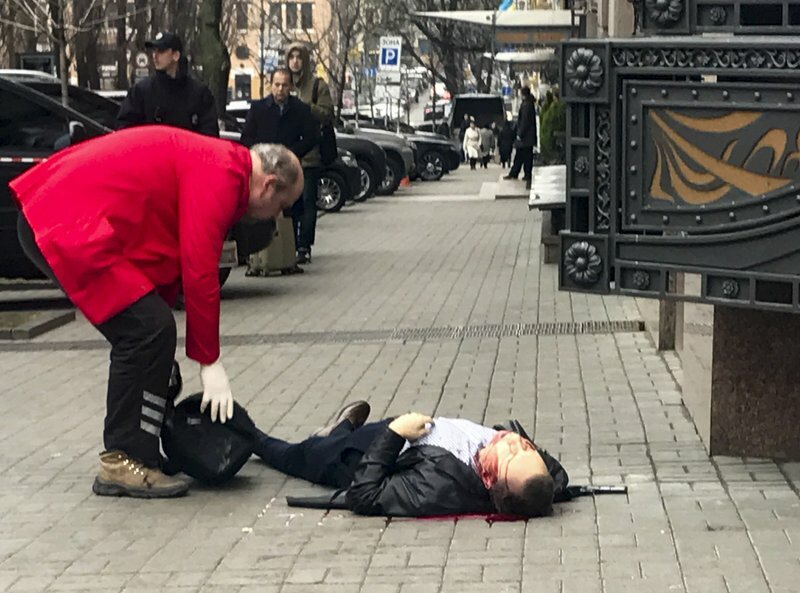 Ukrainian police said Voronenkov was shot dead Thursday, March 23, 2017, by an unidentified gunman at the entrance of an upscale hotel in Kiev, Ukraine. Voronenkov, 45, a former member of the communist faction in the lower house of Russian parliament, had moved to Ukraine last fall and had been granted Ukrainian citizenship. 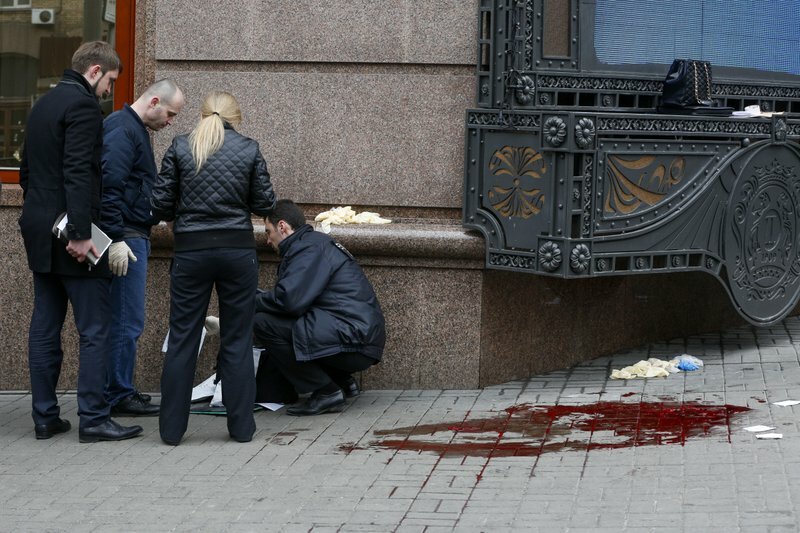 Forensic experts and police officers examine the scene following the killing of Denis Voronenkov in Kiev, Ukraine, Thursday, March 23, 2017. 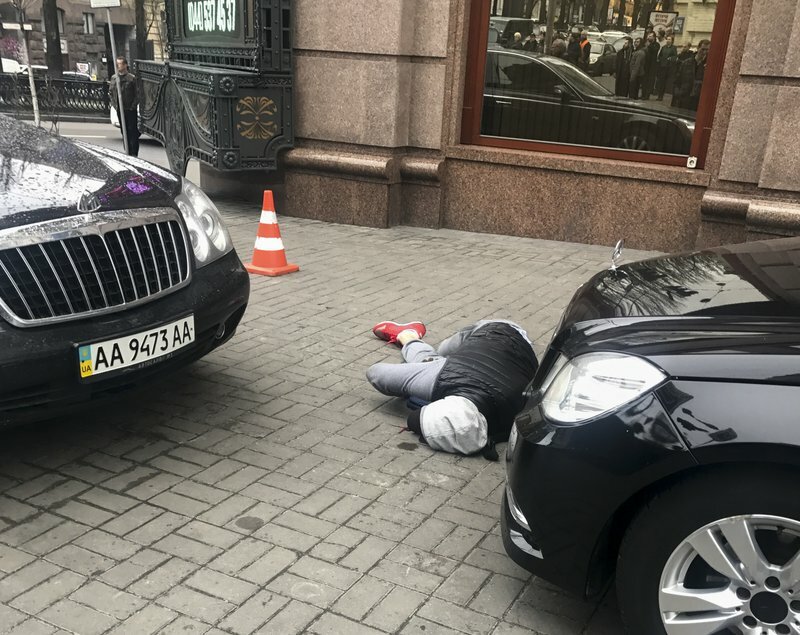 Ukrainian police said Voronenkov was shot dead Thursday by an unidentified gunman at the entrance of an upscale hotel in the Ukrainian capital. Voronenkov, 45, a former member of the communist faction in the lower house of Russian parliament, had moved to Ukraine last fall and had been granted Ukrainian citizenship. Forensic experts carry the body of Denis Voronenkov, after he was shot dead in Kiev, Ukraine, Thursday, March 23, 2017. Ukrainian police said Voronenkov was shot dead Thursday by an unidentified gunman at the entrance of an upscale hotel in the Ukrainian capital. Voronenkov, 45, a former member of the communist faction in the lower house of Russian parliament, had moved to Ukraine last fall and had been granted Ukrainian citizenship.